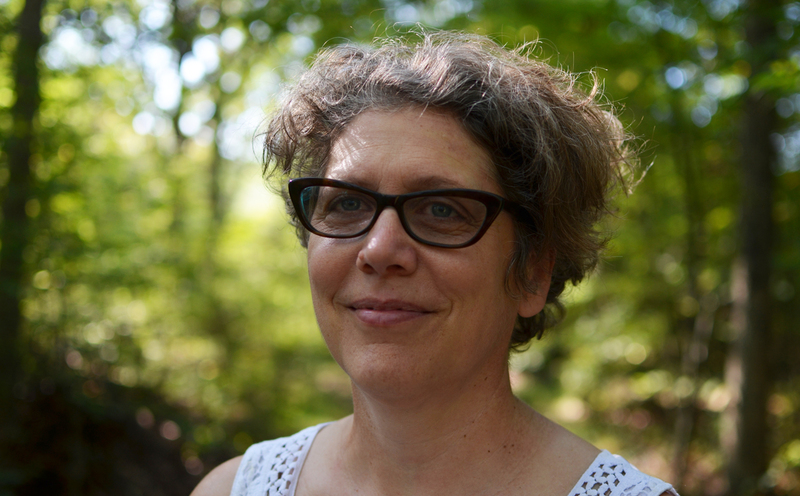 Carol Padberg | I-Park Foundation, Inc.
Carol Padberg is an artist and the director of the Interdisciplinary MFA at the Hartford Art School, University of Hartford. For the last twenty-five years Carol Padberg’s art has been exhibited in a variety of settings, from museums to community centers in Africa, Asia, Europe and North America. She is currently serving as the KNOX Community Gardens’ Artist-in-Residence in Hartford. 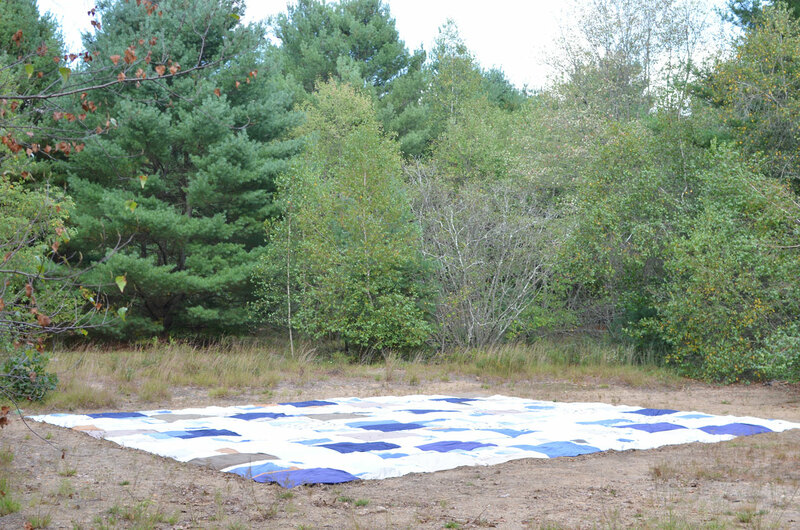 Her most recent works use textiles and community engagement to address ecology and public space. Her collaborative, intergenerational art collective, The Garden Redux, has produced a mobile studio road trip to honor small-scale farmers; a letterpress familyfesto; hotbeds to extend growing seasons; and a silkscreened map of community gardens in Hartford. Her work has been the subject of exhibitions at the Minneapolis Institute of the Arts, and the New Britain Museum of American Art. Her projects have been featured as part of the programming at the Walker Art Center in Minneapolis (1999), the Museum of Modern Art in New York (2012), and the Creative Time Summit at the Venice Biennale (2015). 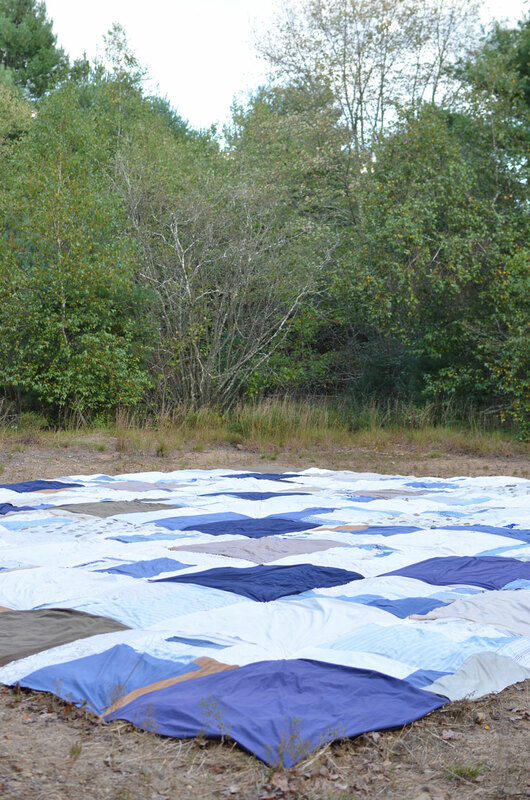 There is an invisible “lasagna” of organic layers beneath the quilt top. This is sheet mulch, which consists of cardboard, hay, old leaves, chicken manure and fresh cut grass clippings. Nitrogen and carbon are released from these materials as they decompose, resulting in rich new soil. In the spring, crimson clover seeds will be added to the sheet mulch. As the clover plants grow, they take nitrogen from the air and release it into the soil, further regenerating the earth below. 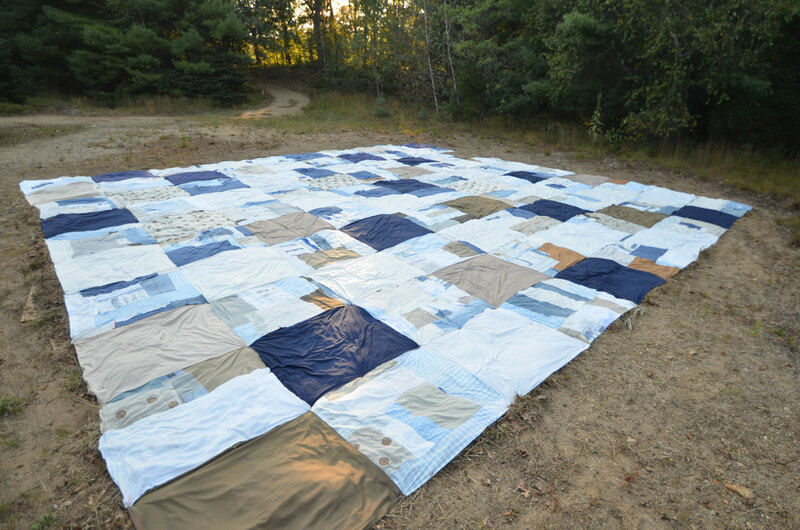 The quilt top is made from the reclaimed cotton of bed sheets, blue jeans, shirts, and other household textiles. This cloth will eventually decompose, adding to the layers of new soil. This prototype will provide the artist with information on how long it takes for various types of fabric to decompose. For more information about Carol and her works, please visit her website at carolpadberg.com.